Our CEO Doyle Slayton was recently a guest on Andy Paul’s podcast Accelerate!. Click the play button below to listen to the 30 minute podcast. During the show, Doyle discussed strategies that help you avoid being the best company no one has ever heard of, as well as the steps required to increase sales by positioning your company as a thought leader, industry expert and a trusted advisor. Here are some questions Andy posed to Doyle and what we learned from his responses. In software sales specifically, Doyle noticed that when you're looking to increase sales for a startup or an expansion-type company in a new market where no one’s heard of you, it’s a lot more challenging than working for the brand name company, especially when you’re cold calling. Secondly, leadership needs to realize that the type of prospect lists that salespeople call on really do matter. It’s the difference between having a salesperson make between 100 and 200 dials/emails to get one appointment and using a more targeted list of prospects to increase efficiency and improve your sales reps chances of success. If you can help a salesperson reduce the number of prospecting attempts to between 25 to 40 dials/emails to get one appointment, that means they can schedule one, two, even three new appointments per day, and when you can do that, your chances of exceeding quota go way up. How Do You Develop a Targeted List? First, identify the common thread between your current clients. Consider the size of your client’s companies, the type of businesses they run, what they sell, etc. This will help you identify your niche; thereby allowing you to narrow down your target market. It’s also important to know the weaknesses of your competitors as well as their current clients. This will allow you to shift your messaging accordingly so you can hit those sweet spots and more easily jump in and offer your services when they fail to hit the mark. However, make sure you do this in a classy way so that you’re not trashing your competitor, as that can be a turn off to buyers. 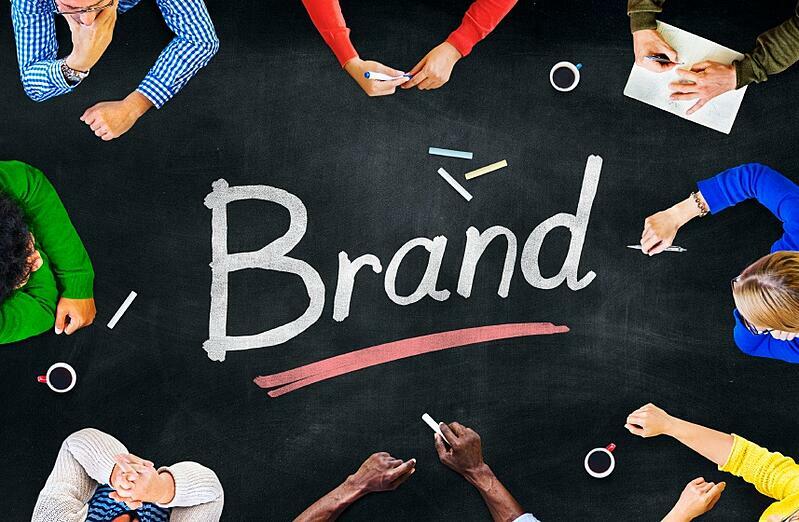 How Do You Become a Well Known Brand? No one gets fired for hiring the most well known company as their service provider. That’s why it’s incredibly important that you position your business to become well known in the industry. How do you do this? For starters, you need to get in the game with thought leadership and brand building through content and social media marketing. You have to put yourself out there with high quality content on your website and gain as much exposure as possible through social. When people start to see and understand your position and style of thinking within the industry and they like it, they swarm to your site. Lead generation and conversion: Using content to get people to your website. Sales prospecting and follow up: Having sales people leverage content throughout the sales process. Customer loyalty and engagement: The sales process isn’t over once a lead becomes a client or customer, you need them to buy-in to how the product or service is used. Create content that teaches them how to become power users. Create targeted lists so sales reps can make better use of their time and close more deals. Position yourself as a thought leader and trusted advisor by building up your brand and utilizing content throughout the sales process. If you’re able to execute on the two above action items, you’ll be well on your way to becoming the well known brand you always dreamed you could be! For more great interviews with other Sales and Marketing thought leaders, click on this iTunes link to see the complete lineup and subscribe to the Accelerate! podcast. SPECIAL OFFER: For the first 100 visitors who download this episode of the podcast and write a review of Accelerate! on iTunes, Andy will send a copy of his latest book: Amp Up Your Sales. Simply send an email with the proof of your review and your physical mailing address to Andy Paul and he'll send you the book!"